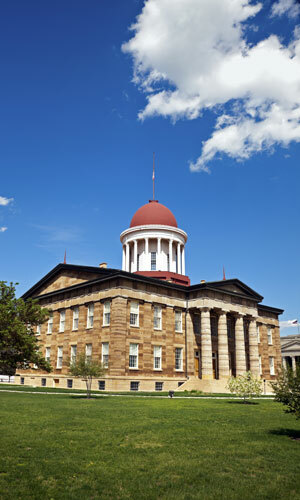 Springfield is the capital of Illinois, home to over 100,000 residents and is nicknamed the “Flower City”. There are several effective advertising opportunities for billboards and other out-of-home advertisements throughout the city. Notable cultural venues prime for outdoor advertising is the Hoogland Center for the Arts, the Springfield Municipal Opera, and the Springfield Theatre Centre. Target your audience with outdoor billboards near tourist attractions like the Made-Rite Sandwich Shop or the Lincoln Home National Historic Site. Billboards on I-55 or I-72 would generate high traffic exposure of your business.